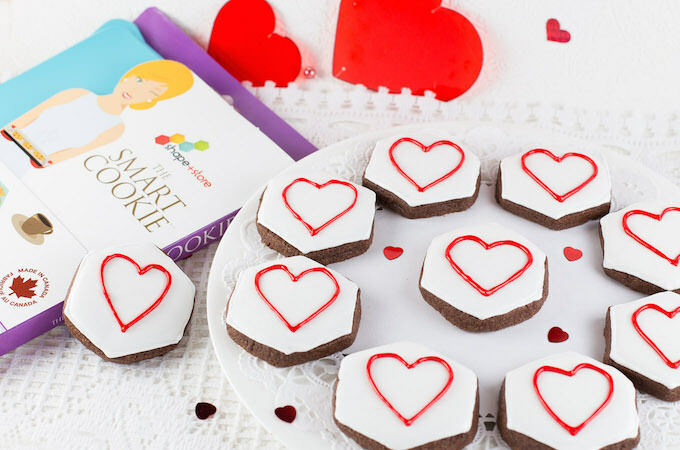 These delicious Chocolate Sugar Cookies with The Smart Cookie were made using my new nifty kitchen gadget “The Smart Cookie”. 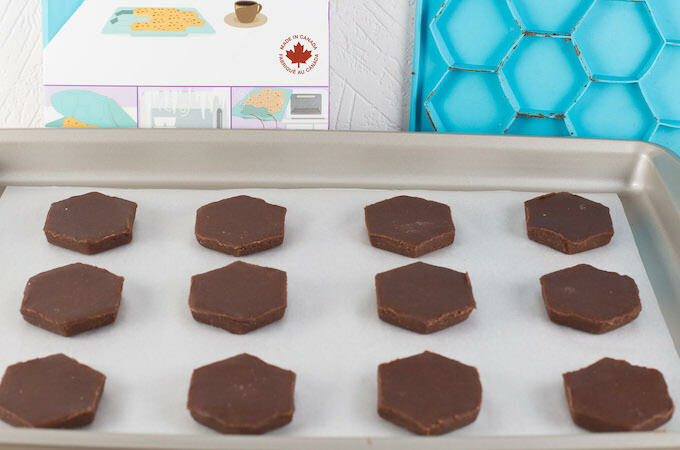 I had the pleasure of connecting with Maya Liberman, Founder and CEO of Smart Cookie Home Essentials and trying out a marvelous product, The Smart Cookie. Maya pitched her product, The Smart Cookie on the hit TV show Dragon’s Den! And guess what, she got a deal with Dragon Michael Wekerle! I love fresh baked cookies, warm out of the oven for my oatmeal or chocolate chips cookies; for decorated cookies I like to eat them within a day or two. So how does one enjoy fresh baked cookies without eating one too many, or have fresh baked cookies ready for the kids when they get home from school? 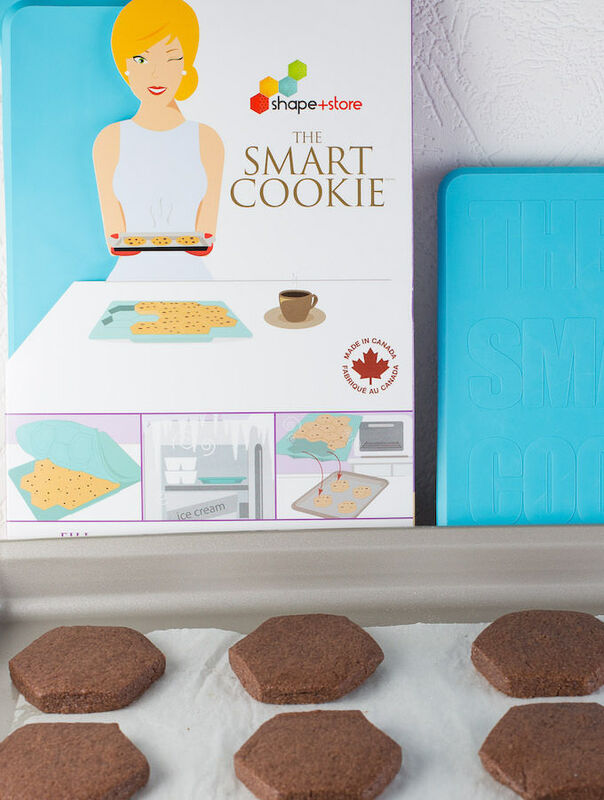 Shape+ Store has the solution with their handy Smart Cookie container. 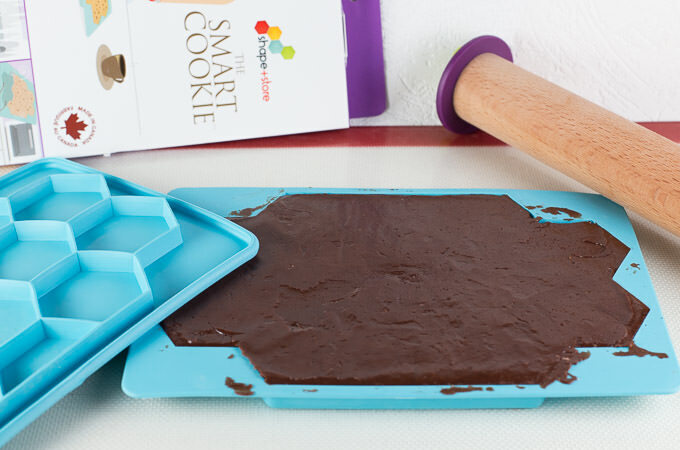 The Smart Cookie will perfectly cut, portion and store your cookie dough, ready to bake as few or as many cookies as you like. I whipped up an awesome Chocolate Sugar Cookie dough to make some decorative Valentine’s Day cookies. My recipe makes 3 dozen cookies. I only wanted to decorate a dozen cookies; so a dozen got baked and the other two dozen I stored in the freezer in my Smart Cookie containers. Simply press dough into The Smart Cookie (non-shaped side). Most cookie doughs can be simply pressed into the container, but for this sugar cookie dough I evened the top a bit with a rolling pin. Next press honey-combed shaped side to cut and form perfect, even cookies. Store in the refrigerator if baking later that day or freezer if you won’t be baking same day. Ready to bake – simply pop out as many cookies as you like. I really love how easily the cookies pop out of the container, perfectly cut. 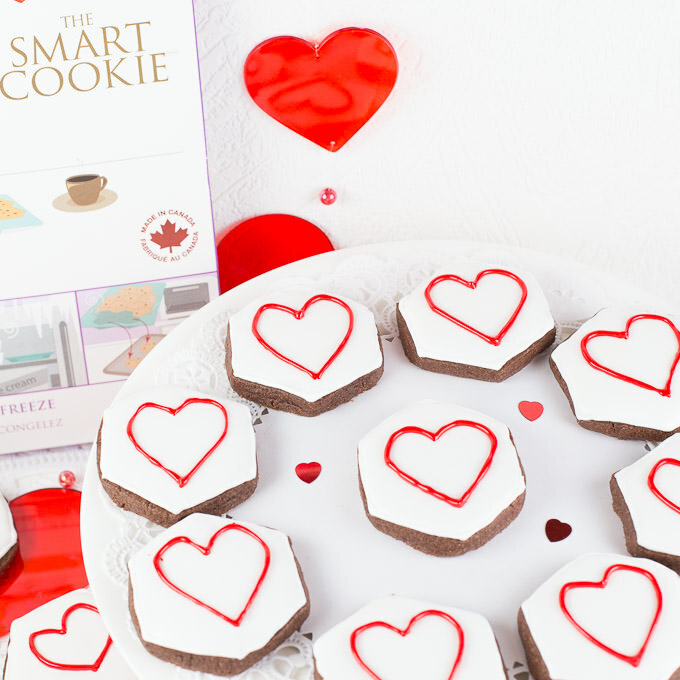 The Smart Cookie is BPA and Phthalate Free, dishwasher safe and made in Canada. This sugar cookie recipe was made to maintain the shape, but most regular cookie doughs such as oatmeal and chocolate chip will bake round. 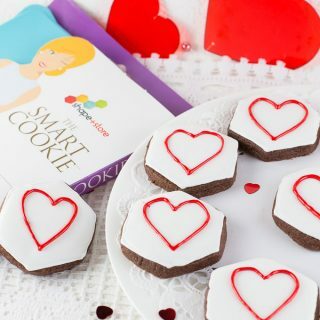 The Smart Cookie can also be used to shape and freeze such things like garlic butter, crab cakes, tomato sauce, desserts. 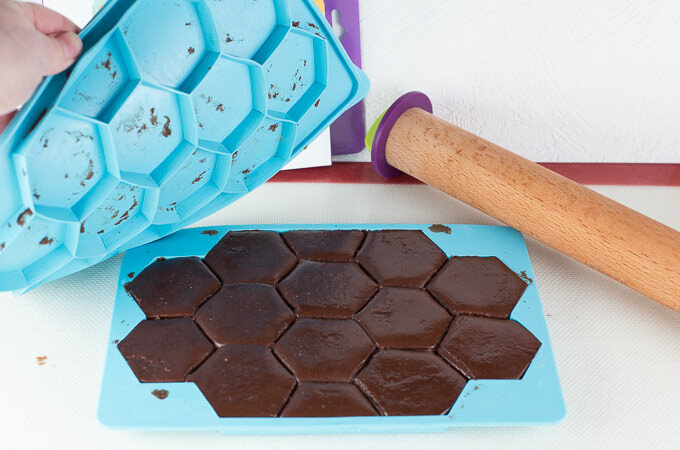 I also used it for my homemade protein bars and Chocolate Covered Coconut Oil Bars! Using an electric mixer with paddle attachment, beat butter and sugar together until light and fluffy, about 5 minutes. Add vanilla and eggs, beat to combine. Slowly add the flour/cocoa mixture and beat medium speed until combined. Scrape sides of bowl and beater as needed. This is a firm dough, so may require a bit of hand mixing after all flour is added. Press 1 portion of dough into each of The Smart Cookie containers. Even dough out with rolling pin that has been lightly dusted with flour. Refrigerate for 30- 60 minutes or freeze until ready to bake. For baking, heat oven to 350 degrees. Remove as many cookies as you wish to bake from The Smart Cookie. Bake 350 degrees for 8-10 minutes. 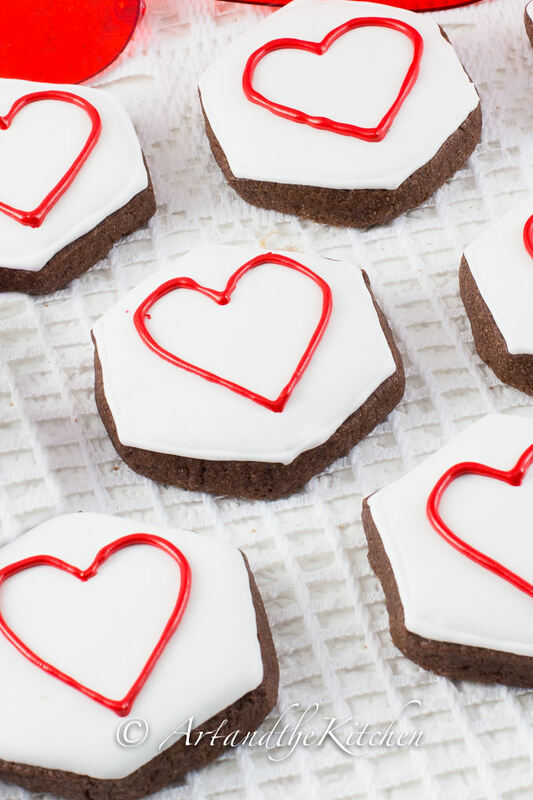 These cookies taste great plain, but are also great for decorating with Royal Icing. 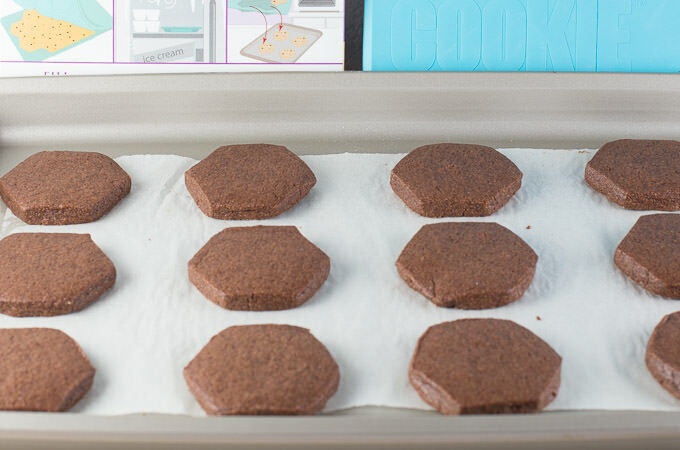 Such a great idea and your chocolate cookies look so pretty Laureen! Thanks Chris, yes it is a great idea for storing cookies or homemade bars. 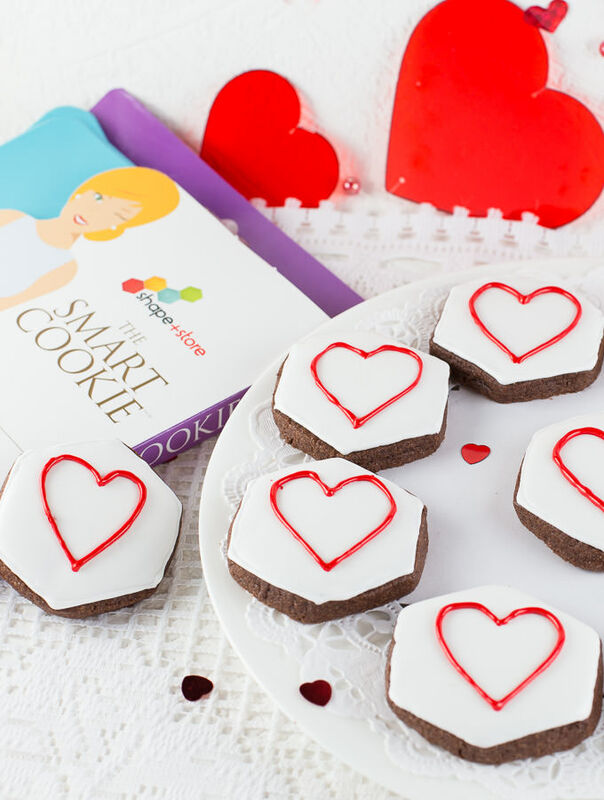 That is a cool product and you made some very sweet cookies for Valentine’s Day, Nicely done!